Dr. Pat has provided chiropractic care and services at her Broad Axe Chiropractic Center in Blue Bell, PA since 1987. She has built her practice with a strong focus on each patient’s individual needs while maintaining a foundation of improving posture as the key to better health and performance. Her comprehensive approach customizes care from rehabilitation to overall wellness and she selects chiropractic techniques to fit the needs and comfort of each patient. 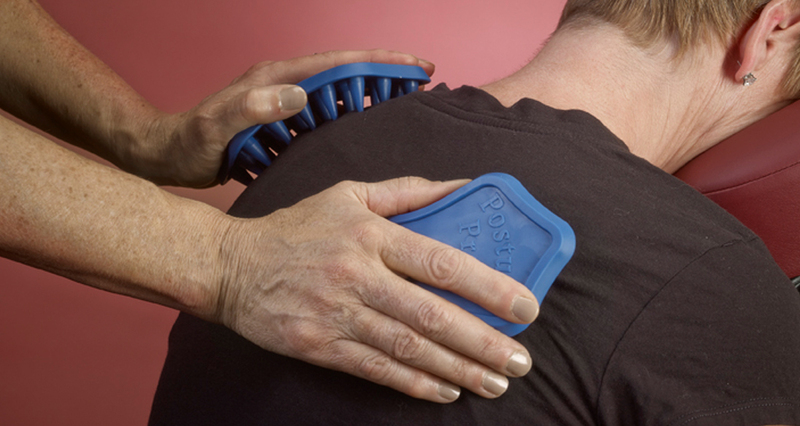 Dr. Pat has created a strong discipline in treating the myofascial system. Her attention has focused on treating scar tissue and adhesions resulting from injury, post-surgical healing, and chronic postural stress. Her ability to find and release these areas of stress and strain set her apart from others and have helped her to gain great appreciation and endorsements from her clients. Her use of Erchonia cold laser therapy compliments adjustments and helps facilitate healing and improve posture. Cold Laser Therapy induces a biochemical reaction that increases circulation and tissue regeneration to help heal and increase mobility. This leads to more optimal posture and stronger biomechanics to keep patients moving effectively in gravity. Utilizing release techniques and the Erchonia Cold Laser Therapy often achieves profound changes in the health and well being of her patients. But her support doesn’t stop once her patients leave her office. As a strong proponent for health, she encourages them to practice the core elements of good health that she models – engaging in regular exercise and enjoyable activities to stay mobile, eating a healthy diet, and practicing good posture for a better balanced body and a better balanced life. "I rely on my guide dog to get me around on a daily basis. We can cover between one and five miles a day, in good weather and bad. Taking care of my dog’s health is critical to my ability to maintain an active lifestyle and I use the Posture Prep to keep her body healthy. She loves it when I message her with the posture prep and gives me lots of kisses in return!" "My five dogs who hate to be groomed and run when they see the brush love this product!! Especially my neurologic Great Pyrenees who I believe gets some muscle releases and body soreness relief." "Switch, who doesn't like to be brushed at all, stood like a rock and when I went to use the Posture Prep tool on one of the other dogs, she literally pushed them out of the way and that's not like her to do that. I'd say she loves it." "Just wanted to let you know that I used the Posture Prep on Piper and Elvis and they both loved it. Piper, who usually dances around stood and leaned into me in rhythm and they both lifted their feet very nicely for me." "Beaver, an 8-year-old Himalayan (cat) requires daily brushing. I used a baby brush until I discovered Posture Prep. He jumps onto the toilet seat every morning and awaits his daily grooming, wiggles from side to side, and moans a soothing different kind of purr I've never heard before. An excellent product for hair and muscle for kittens." "Dr. Pat’s work has significantly helped the top line of two of my horses. One, a 22-year-old quarter horse, had a sagging back and his withers were sinking down between his shoulder blades. The other, a 13-year old Welsh Cobb driving pony, was severely jammed up in his shoulders/wither area and his back was hollow. Both horses have seen their backs come up and their withers emerge from their shoulder blades." "I began using the Posture Prep on my standard poodles in July 2014 with the goals of having peak athletic performance in agility events and decreasing any possibility of injury. The POSTURE PREP is a great warm-up for agility runs and I can see that it allows them to comfortably fully extend when running and jumping. The added bonus is that it aids in our connection before our agility runs. Bar dropping has decreased about 80%! My 8 year old is Genasha, #1 poodle in AKC agility." "Molly (four-year-old golden retriever) comes running when she sees POSTURE PREP in my hand. She immediately sits in front of me with her "golden smile" lifts her paw and waits for her massage. She seems to relax all over and really seems to enjoy the massage and relaxes putting her head on my lap." "My rottweiler Jazzie loves her posture prepping time, she plops down and relishes it from her head to her belly." "We have found Posture Prep to be so beneficial we use it as an integral part of our training program. It helps our horses overcome training blocks in a shorter time and a happier manner. Posture Prep is the ideal pre-ride warm-up allowing more effective use of under saddle time. Posture Prep is our favorite equine product, we use it on all our horses; 4 year olds to FEI!" "My horses enjoy being groomed with it so much that they groom me back! All of them love the massage and I enjoy paying extra attention to them. It's particularly great for my old mare who is so bony. She just blisses out!" "I have used your Posture Prep tool and my Prix St George stallion, Gideon, really likes it! To be honest, it surprised me, since he is so sensitive, but he immediately began relaxing and yawning. I found his muscles to be softer afterwards, including the spots where he can sometimes hold tension. Your directions are clear." "Molly (four-year-old golden retriever ) comes running when she sees POSTURE PREP in my hand. She immediately sits in front of me with her "golden smile" lifts her paw and waits for her massage. She seems to relax all over and really seems to enjoy the massage and relaxes putting her head on my lap." "Dr Pats posture prep is a must have in all barns. The unique grooming techniques allow you to truly help your horses comfort level no matter whether pleasure horse or advanced eventer. We at World Class Grooming like to use the posture prep as part of our daily grooming routine. Being able to pick up subtle soreness early is paramount to helping the advance horse have a longer, more sound and happier life. We have yet to find a horse not enjoy this product." "My horse’s chiropractor recommended belly lifts for him to keep up his topline and improve the atrophy he has behind his shoulders. I can hardly get him to lift that belly, but the posture prep helps to get a little bit of a lift out of him…"
"My daughter's mare, a chestnut appendix QH, barely tolerates grooming. But she completely enjoys her Posture Prep sessions & actively participates by positioning herself, showing me where to focus & displaying some comical 'that's the spot' behavior. Sometimes she 'grooms' me back. Such a wonderful tool." "My 27 year old horse Mac has been in stall rest due to a severe ruptured tendon. Using the Posture Prep groomer has helped keep his muscle toned and his posture square as he recovers." "I have known Dr Patricia Bona DC ( Dr Pat ) for many years. She is an inspiration to us all with her electrifying enthusiasm that she radiates throughout her profession. With this, she also brings a tremendous wealth of knowledge to the arena of animal welfare by being (AVCA) American Veterinary Chiropractic Association certified Chiropractor. This means her professional statue is unprecedented by the promotion of her "Grooming Tool".,,,, In other words, try it and you will see the difference." "I have been a massage therapist for over 20 years. Wish I had your Posture prep groomer sooner, it makes my job so much easier! Also recommending it to all my clients for follow up work. Thank you Pat!" "Hi I have my equine posture prep for two years now and my horses love it! It takes a lot of hard work out of my hands and the horses respond beautifully. One of my geldings had a chronic problem in his right hip and has gotten lots of relief from it. When he sees me get it out he walks right up to me and presents his hip without my asking!" Enter your email below for latest news and offers. No thanks, I am not interested at this time. If you are interested in having Dr. Pat address your club or organization for a demonstration, lecture or clinic please fill in the form below.